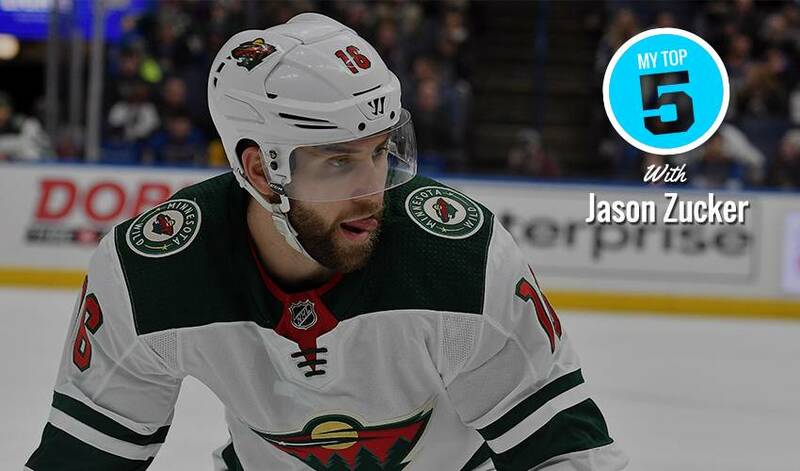 Will everything be coming up roses for Jason Zucker this Valentine’s Day? The Minnesota Wild forward has put in a great deal of planning (and thought) into making sure all goes well February 14. The left wing agreed to play Cupid for NHLPA.com, sharing his best advice for a stress-free and happy Valentine’s Day. As for his top tip, Zucker offers up a simple two-word mantra. “Carly is not a chocolate girl. She hates boxed chocolates. I bought her a box of those chocolates one year and she never touched them. I went all-out, full-on – I spent my credit card limit on a box of chocolates and she didn’t touch them. That’s how I found out she doesn’t like boxed chocolates. I don’t know why. SPOILER ALERT FOR CARLY: "What I actually did this year, and I’m still in the process of doing it, seeing that I don’t have more time to figure it out, is a gift basket. Instead of any type of big gift, I got her six or seven things that she will actually use. And by putting it in a basket, it says, ‘I’m thinking about you for all these different reasons. And here’s your basket of why.’"
TIP FOR JASON: Maybe include fire alarm batteries in the basket. Sidney Crosby had his family’s basement dryer to perfect his shot, Minnesota Wild defenceman Brad Hunt had his backyard shooting deck. Ryan Donato has enjoyed quite the 13-month hockey odyssey. A special Christmas present for the Janisch patriarch wasn’t under the tree. He didn’t know what his wife, Ann, had a surprise announcement from Matt Hendricks all cued up. Pardon the pun, but the list of players in the NHL this season under 170 pounds is short. The list of defencemen is even shorter. Marcus Foligno thinks of his mother every day. After joining his Uncle Gary as one of 11 U.S.-born defenceman to score 500 points, Ryan Suter will soon join him on a list of players who have skated in 1,000 NHL games.